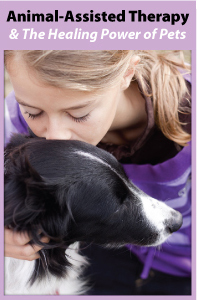 Animal-Assisted Therapy and the Healing Power of Pets is a 3-hour online continuing education (CE) course that includes the story of Dr. Deirdre Rand’s journey with her animal companions and the lessons learned from the challenges and rewards of those relationships. Also discussed are temperament, socialization and training; the role of the neurohormone oxytocin in strengthening the human-companion animal bond; the founding of the three major organizations which register volunteer handler/therapy teams, along with the contributions of key historic figures in developing animal-assisted therapy as we know it today; examples of animal-assisted interventions with dogs, cats and other animals; and attributes of a great therapy animal and a great handler. 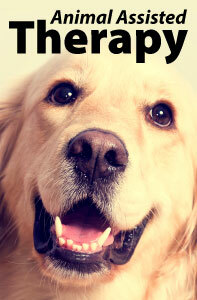 "Animal-Assisted Therapy and the Healing Power of Pets provides an essential foundation to anyone interested in animal assisted intervention work, whether as a healthcare professional or as a volunteer therapy animal team with their dog or cat. Dr. Rand uses a narrative writing style, supplemented with photographs, to give the reader a deeper, more experiential understanding of the material and makes for a good read. The course includes numerous clinical examples, evoking an awareness of the unique bond between people and their companion animals." - Endorsement by Aubrey H. Fine, EdD, author of Our Faithful Companions: Exploring the Essence of our Kinship with Animals. 6. Distinguish between “Animal-Assisted Therapy” and "Animal-Assisted Activities"
Cattle Dogs have been part of Deirdre's life ever since. Most of these were rescues with temperament and socialization issues which could be challenging. Financial: Deirdre receives royalty payments from Professional Development Resources on sales of her courses.